Try a Sticky Stopper Spray for free! Do your kids have this natural ability to create mess all the time that you need to clean up? Milk spills on the floor, sticky chocolate marks on the toys, spaghetti sauce on the high chair… don’t you fear, we have a magical spray for you! • Removes sticky and greasy residues from food, chocolate, fruit juices, milk, etc. 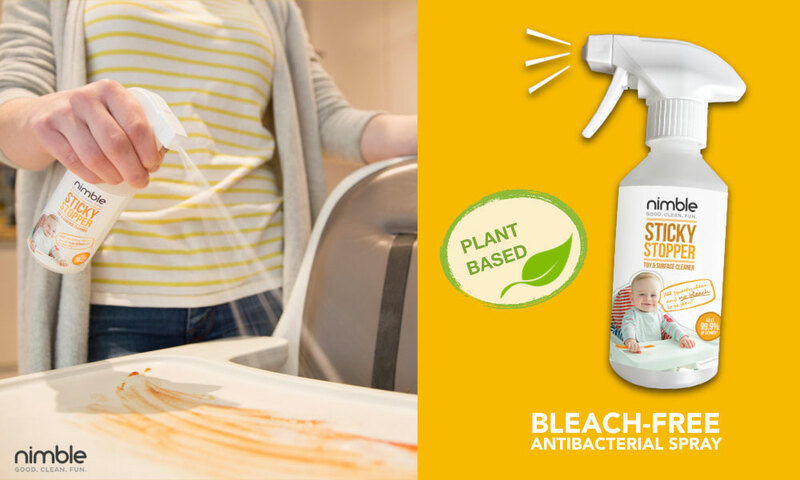 • Uses lactic acid, a natural disinfectant derived from plant-based ingredients. • Can also be used for cleaning potties, high chairs, play mats, bibs, and more. • Great for cleaning various stains like limescale, permanent marker, crayons and more. 10 Sticky Stopper Sprays to try!